In trying to save a woman from a seruptitious spider, Elmer (Buster Keaton) attempts to remove the offending insect. Instead, he rips off one of the straps of her dress. 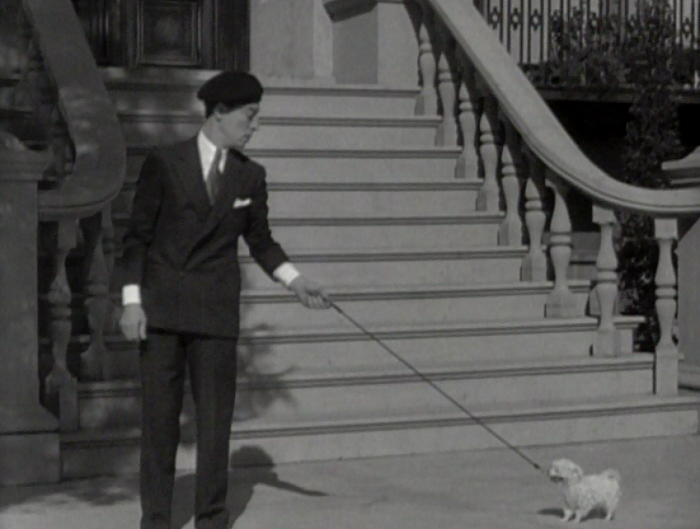 One incident sees Keaton kicked out of a fancy French hair salon wearing a beret and carrying a tiny dog. A man comes by and starts laughing at him, presuming he’s a little purple under the collar. 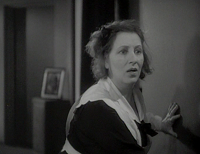 Patricia (Irene Purcell) has her aunt come to visit shortly after she’s passed out. She believes that Elmer is a doctor and pulls him aside to whisper what she thinks the malady is; it’s not hard to guess that she thinks her niece has been knocked up outside of wedlock. Though apparently the same thing happened to Patricia’s mother! I want you to pay attention to that line I quoted there for half a second. Coming up in a film starring a former-silent comedian certainly adds an amusing layer of subtext to such a notion: perhaps someone in the script is acknowledging how someone like Buster Keaton can express more longing with his big dopey eyes in something like The Cameraman than he could with all of the words in the world in any talkie you could pick. Or maybe it’s just another amusing gag in a bedroom farce full of them. Everyone is trying to jump one another, and every attempt at bringing out the truth only makes things worse. The film delights in its own convoluted nature, as you will soon see, and begets a number of long form gags that are sublimely freewheeling. For those of you who are deathly in need of it, the story follows an inventor, Elmer, who works as a plumber when not inventing laser gun sight. 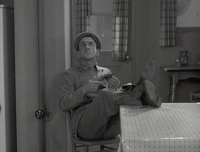 He’s tasked by Patricia’s chauffer, McCracken, to repair a pipe at her residence. Patricia is in love with Tony, but believes he’s married to Nina. Nina, on the other hand, believes Patricia is married to Tony. Tony is plenty happy to spread this idea around since it makes his life more interesting and the women much more passionate. So Elmer is brought in to pretend to be Patricia’s lover to throw off Tony, but it only makes Tony want Patricia more, which makes Patricia want Tony more, which is a shame since Elmer now wants Patricia. Now Patricia is paying Elmer to be her pretend lover to make Tony jealous, only Elmer won’t end his part after the trick has worked. Wackiness, naturally, ensues. Elmer and McCraken are the two Americans in this Paris-set tale, which is notable considering how much cultural friction they run into. Elmer is befuddled by the French honor system, which involves dueling for a woman’s affections and slapping someone with a glove once they’ve offended you. Unable to speak the language, Elmer’s glove comes out often. Are you following this? Things kick themselves up a notch in all regards. Elmer’s plans on presenting a general with his invention hits a snag since his plan repeatedly involves yelling “Hey general!” and waving his gun around. It comes to be that he must infiltrate a casino, where he wreaks a rather devastating brand of havoc. Its finale is in a stolen car and a wreck, leaving Elmer no choice but to use his glove to slap an erupting chauffeur. Based on a stage play, the film was heavily adapted to suit it for its new star, Buster Keaton. (Apparently none other than Leslie Howard played his role on the stage; hard to imagine him doing some of the pratfalls on display…). MGM always had a tough time differentiating between “hapless” and “pathetic” in terms of comedic personas, but Keaton’s Elmer in this film avoids most of the pitfalls– he’d have worse luck elsewhere. 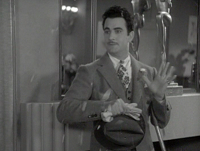 But this is the rare one of his talkies where they wisely let him stick with the slapstick, and nearly every line out of his mouth is a joke– this is probably the closest he ever got to being Groucho. This version of his persona isn’t an idiot, but just kind of generally befuddled and persistent, a love struck Droopy Dog if you will. Again, much more tolerable than some of his other characters of the era, and Keaton assails himself nicely. 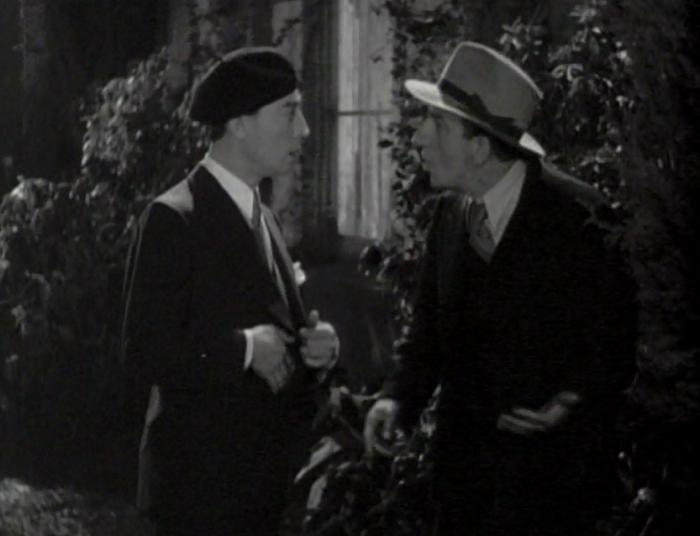 Jimmy Durante, in the first of three films he made with Keaton, can’t stop smiling here. Luckily, he’s been roped into the sidekick role (this dynamic would eventually flip for the worse), and his role is either the straight man or the guy who can’t correctly articulate things: in both of these things he’s perfectly fine at. His minimal screen time is, to be polite, quite a relief. 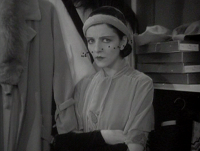 The rest of the cast is quite good, with the two female leads perfect slapstick foils. 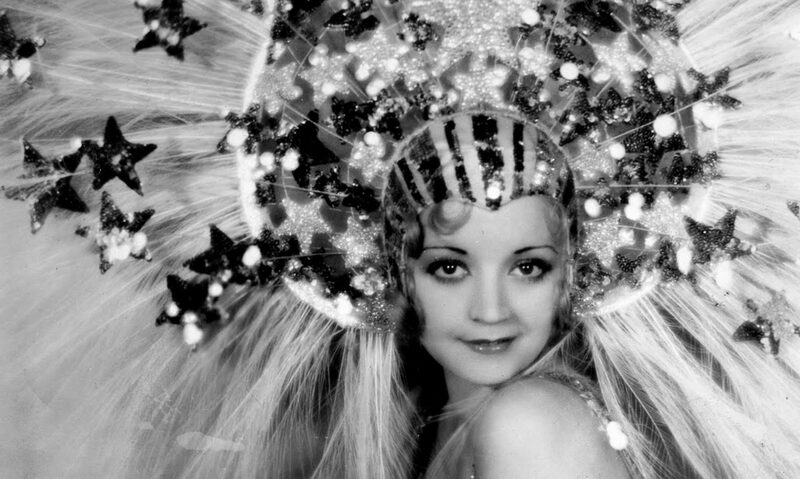 Irene Purcell is a nice ditsy dame and exhibits wonderful single mindedness in her own downfall. Mona Maris gets a couple of funny scenes herself, as her passions become so inflamed that a butler knows to come in on cue with a tray full of plates for her to aim at her suitor’s head. The Passionate Plumber has drummed up a rather passionate anti-cult of its own. From my research, the ‘good’ Buster Keaton talkie is widely considered Speak Easily, with everything else receiving varying levels of contempt. I think this is one of the better meshes between Keaton’s abilities and what MGM wanted from him– he gets the freedom to be quiet and do some truly silly stuff, while still popping up with punchlines when needed. 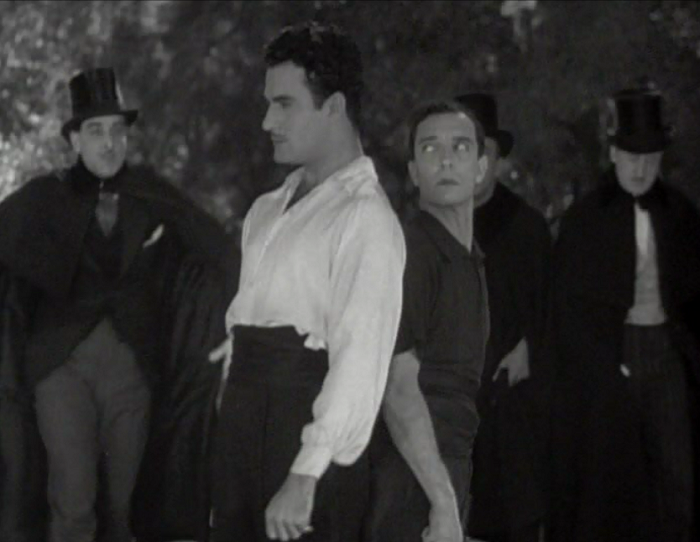 This is the rare talkie where Keaton is, like in his silent films, a hapless force of nature. Since about 90% of the reviews I found for the movies were simply diatribes noting that it was slow or ‘not enough like the Keaton I know’, I was presently surprised by finding a Movie Morlocks article solely devoted to singing the film’s pleasures. 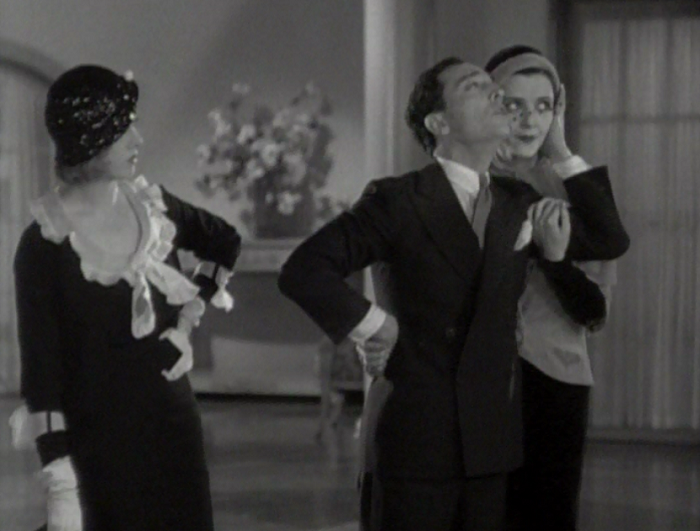 The author, David Kalat, does a great job in dissecting and discussing Keaton’s talkies– both why they’re so poorly regarded today, and why a few of them are so plainly bad. He followed it up a week later with this article about Keaton, and both are well worth your time if you’re interested in learning about Keaton’s time at MGM. Pre-Code dog watch: tiny pups named Fifi are adorable. Dawn’s Chick Flicks looks at the life of Keaton’s romantic interest here, Irene Purcell. Dr. Macro has a number of pictures and posters for your perusal. Love’s unspoken words on this go around are probably going to result in someone getting slapped. A decade later, the property on which the movie was based turned out to have less-than positive associations for another great Metro star. Remade under its original title, Her Cardboard Lover (1942), the picture did poor business and got tepid reviews, prompting its star, Norma Shearer, once the queen of the MGM lot, to retire for good at the age of 40 after more than 20 years in motion pictures. This film is available on Amazon, and can be rented from Classicflix. You may also find a fuzzy copy over on YouTube if that piques your interest.